Run in style and comfort with these Fila Memory Primary running shoes. This style features a mesh fabric and synthetic upper with a padded tongue and collar for ankle comfort and support. 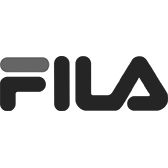 The Fila Memory Primary running shoes have a COOLMAX Memory Foam insole to keep your feet comfortable as you take on the day.